The Greek Parliament on Sunday night approved an omnibus bill which includes indirect tax hikes of some 1.8 billion euros. According to the voting results, 152 of Prime Minister Alexis Tsipras’ MPs supported the bill. The list of tax hikes and measures includes raising the value-added tax (VAT) from 23 percent to 24 percent; a new road tax for vehicles with foreign license places entering Greece; increasing special tax on cigarettes, tobacco and electronic cigarettes; and a “stayover tax” for hotels (to come into effect in 2018). 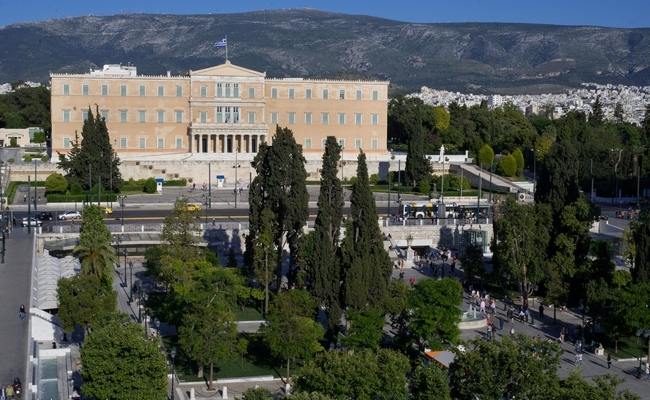 The 7,200-page bill also contains two controversial articles which refer to a new privatization fund, which gives the country’s creditors a key say in the privatizations that will take place; and an automatic spending cut mechanism, which foresees additional contingency measures up to 3.6 billion euros if Greece misses fiscal targets in 2018. According to Greek daily Kathimerini, eurozone finance ministers are due to meet in Brussels on Tuesday to decide whether Greece has done enough to complete the first review of its latest bailout program. If the green light is given, Athens is set to receive a minimum of 5.7 billion euros in fresh funding.